Posted on September 11, 2006 by Alicia Bay Laurel	in Blog. 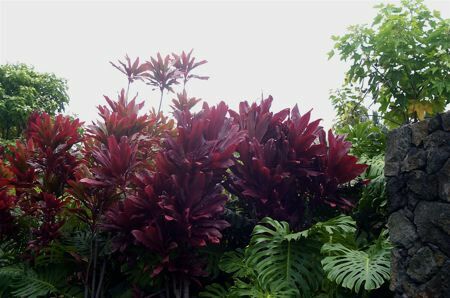 Landscape plants in Hawaii. Some native, some alien. All beautiful. 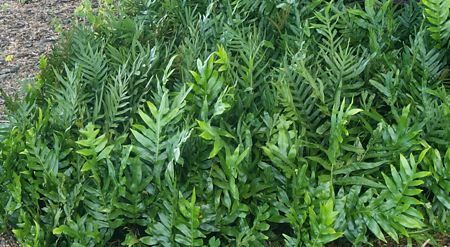 Laua’e fern, a native plant with a distinctive fragrance similar to that of maile, the leafy vine used to make leis presented to honor people. Laua’e is widely used in floral arrangements and table decorations in Hawaii. Red ti plant. Ti is also indigenous to Hawaii. Sacred to the healing god Lono, ti is still planted at the corners of many homes for protection. Ancient Hawaiians used the fiber to make rope and sandals, the leaves for transporting or cooking foods, the root to make an alcoholic beverage. Hula dancers still use the leaves to make skirts, and lei makers make leis of fresh ti leaf fiber. 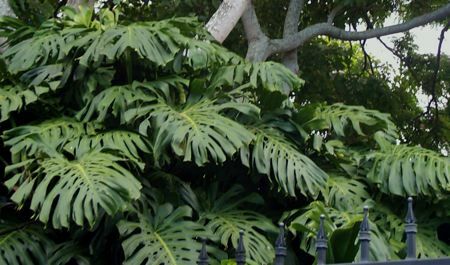 Monstera deliciosa is an introduced species that produces a fruit shaped like a corn cob that ripens a few kernels at a time, making it inconvenient to pick and eat, but the ripe fruit is sweet and smells like pineapple. 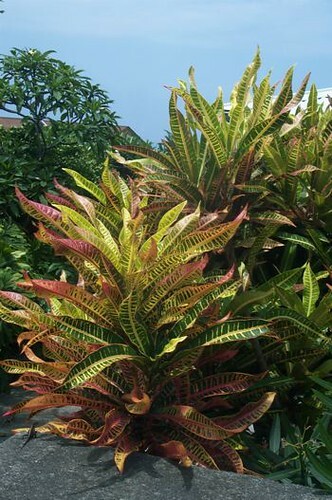 Crotons come in dozens of sizes, shapes and colors. One plant will sprout leaves a variety of color combinations. Narrow-leafed crotons are great fun to use in tropical floral arrangements. 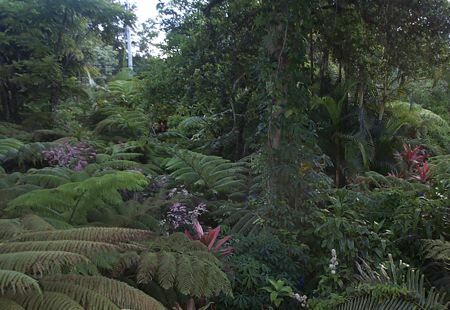 Hapu’u (tree fern) a native species, seen from above, growing amid ohia trees in the windward rainforest. 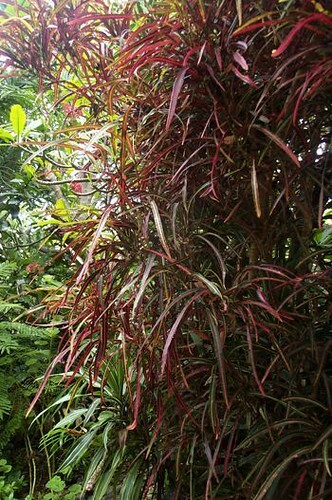 The pink small-leafed plant is Hawaiian Snow, and the larger red and green leaves are ti. 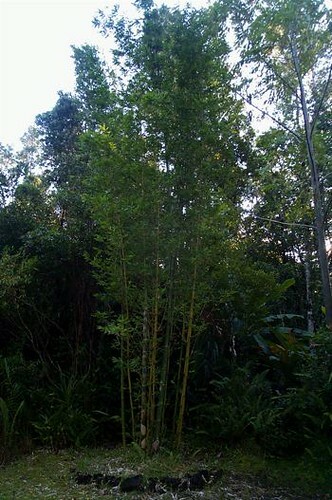 Bamboo, a fastgrowing and therefore sustainable source of building and craft material as well as a wellspring of grace and privacy in the garden. Gardeners plant miniature bamboo to make stakes for vines.